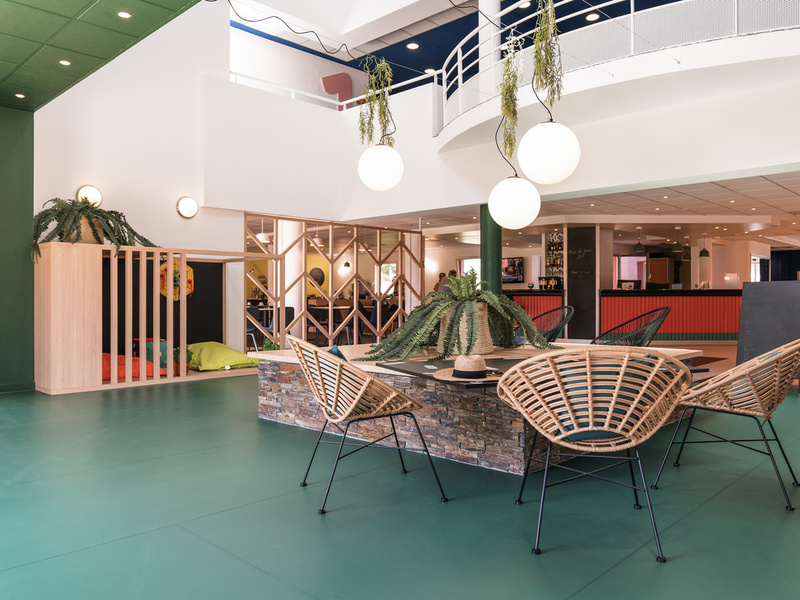 Ideally located between Aix-en-Provence and Marseille, the entire team at the ibis Styles Marseille Plan de Campagne welcomes you for business trips or family leisure stays. Breakfast and WIFI included in all rates at the ibis Styles Marseille Plan de Campagne hotel. Located in Europe's largest business area and fully renovated in an urban jungle style, its 60 air-conditioned and soundproofed rooms with Sweet Bed by ibis bedding invite you to relax. Ideal for visits to Marseille and Aix-en-Provence. Enjoy the bar, restaurant, wooded park and our 2 meeting rooms. Free private car park. Our chef has prepared a high-quality menu that uses fresh products to create traditional dishes. Plus, every evening there's a dish of the day. You'll love our terrace in warm weather. Restaurant open Monday through Thursday evening. A friendly space available 24 hours a day, 7 days a week. The warm and relaxed atmosphere is great for your business meetings or for chilling out with friends.